This one-year, ACGME-accredited fellowship provides advanced training in all aspects of Cytopathology. The fellows participate in the daily sign-out of all specimens and provide immediate on-site interpretation for superficial and deep FNAs with progressive responsibilities leading to the development of diagnostic autonomy. There is substantial exposure to surgical pathology with emphasis on the correlation between these two disciplines, particularly as the needle core biopsies object of on-site interpretation are kept as part of the Cytopathology specimen. 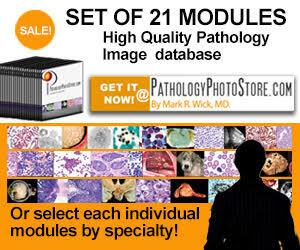 Approximately 16,000 specimens are evaluated annually, including 2500 non-gynecologic exfoliative specimens and 2100 fine needle aspiration biopsies covering the spectrum of cytopathology practice with extensive use of immunochemistry, flow cytometry, molecular and cytogenetic ancillary studies. The program includes a 2-week rotation in our solid tumor molecular diagnostics service. A dedicated Ultrasound-guided FNA (USFNA) service is located in the Pathology Department, staffed by three USFNA-trained pathologists, with an annual volume of 350 cases. The Cytopathology fellows receive training in FNA performance, actively participating in procedures under direct attending supervision with the objective of becoming proficient in both palpation and ultrasound-guided FNA. Appropriate clinical management as applied to surgical and cytopathology diagnoses and interdisciplinary communication is stressed, including case presentation at tumor boards. Participation in the instruction of residents through lectures and slide sessions is an integral part of the program. Over 4,000 glass slide study sets are available for review. Fellows will also gain practical skills in laboratory management. Translational research as well as clinical research for presentation at national level is strongly encouraged. Requirements: Candidates must have satisfactorily completed an accredited training program in AP or AP/CP. Stipends: Salary and benefits are commensurate with level of training. 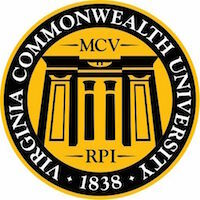 The Virginia Office of the Chief Medical Examiner and the Department of Pathology at VCU Health, offer four one-year ACGME-accredited fellowships in the specialty of Forensic Pathology. The positions are located in three of our statewide district offices. Two positions located in the historic city of Richmond, one encompassing the waterfront, maritime cities of Norfolk/Virginia Beach and one in the scenic mountain surrounded valley of Roanoke. The training program fulfills the eligibility requirements for APB board certification. Your training will include learning to gather information from death scenes to determine the extent to which further investigation is necessary. Performing autopsies on bodies in order to determine the cause and manner of death. Understanding how to report autopsy findings in court, in consultation with families, law enforcement, and attorneys. Fellows are mentored by nine Board certified forensic pathologists. Co-location with the State Division of Forensic Science permits contemporaneous case consultation with firearm, tool marks, trace evidence, imaging, forensic biology (DNA) and other forensic science specialists. VCU Health provides forensic radiology, neuropathology and surgical pathology subspecialty consultation. Fellows are given anthropology and odontology training and the opportunity to attend national meetings with forensic colleagues. Trainees attend subspecialty courses and reference a medicolegal library, Medline, Internet, and case database. Each district office participates in the teaching of students, residents and other professionals. Fellows will work with staff to undertake a research project. Requirements: Applicants must be Board certified or eligible in AP, NP or AP/CP, able to obtain an unrestricted medical license in the State of Virginia and be able obtain a Virginia state driver's license. Stipends: The University salary and benefits are competitive and supplemented by LME activity. This is a one-year, ACGME-accredited clinical fellowship which trains pathologists and medical geneticists for a career in Molecular Genetic Pathology. The trainee receives a thorough exposure to all aspects of molecular genetic pathology including infectious diseases, hematopathology, oncology, transplantation, and medical genetics. The VCU Molecular Diagnostics Laboratory is a state-of-the art, 6,400 sq ft facility that performs more than 25,000 tests annually. Fellows participate in laboratory test development and translational research. The fellows are responsible for interactions with clinicians and other pathologists, and test interpretation as the training progresses. Fellows rotate through the human genetics clinical services and in the biochemical genetics laboratory. Hands-on experience is obtained with a broad range of molecular techniques including nucleic acid extraction, real-time PCR, reverse transcriptase PCR, cytogenetics, FISH, SNP analysis, Affymetrix microarray technology, bone marrow engraftment chimerism studies, direct Sanger sequencing and next generation sequencing for cancer and inherited disorders panels as well as whole exome sequencing. Requirements: Preference will be given to applicants who have completed AP/CP training, or are board eligible in anatomic and/or clinical pathology. All candidates must have passed USMLE Step 3. This ACGME-accredited program provides comprehensive training in Hematopathology. It is aimed at those who have fulfilled a standard pathology residency and wish to specialize in hematopathology in either a community hospital or academic setting. Under direct supervision of the faculty, the fellows become proficient in the morphologic evaluation of bone marrow biopsies and aspirate smears, lymphoid tissues, blood smears, and body fluids as well as in the interpretation of automated hematology data and special diagnostic studies, including flow cytometric data, molecular diagnostic assays, and classical/molecular cytogenetics, especially FISH analysis. The fellows also evaluate surgical and cytopathology specimens with potential hematopoietic malignancy, and gain experience in the laboratory investigation of anemias, diseases of hemostasis and thrombosis, and other benign diseases of the hematopoietic system. The fellows gain experience in laboratory management through ongoing participation in quality assurance and quality control studies, instrument and procedure modifications, and projects to improve personnel utilization and patient safety. The daily supervision of residents and medical students in the hematology laboratory is the responsibility of the fellows, and there are a variety of opportunities to participate in other teaching activities, as well as basic and clinical research studies. The program provides intensive training in all aspects of Neuropathology (NP) with the aim of preparing our fellows for Board Certification and a successful career as an academic neuropathologist. Fellows gain familiarity with a wide variety of diseases of the nervous system, skeletal muscle, peripheral nerve, and eye, developing diagnostic proficiency through both morphologic examination and utilization of ancillary techniques including immunohistochemistry, electron microscopy, and molecular analysis. A variety of research opportunities are available within the division and the VCU health system, with an emphasis on neuro-oncology. Preference will be given to applicants seeking a conventional two year neuropathology training commitment, though other arrangements may be available on an individual basis. Requirements: At least two years of post-graduate training are required; this may include 2 years of anatomic pathology (AP) or 1 year AP plus 1 year clinical training in neurology/neurosurgery. Combined AP/NP applicants will also be considered. Stipends: Salary and benefits are commensurate with year of postgraduate training. This is a one-year ACGME-accredited program designed for individuals who wish to pursue intense training in Surgical Pathology in an environment that allows graduated responsibility and independent work necessary to build diagnostic confidence and maturity. This fellowship provides the necessary training for the fellow to function upon completion as an academic pathologist with responsibilities in service, teaching, and research, or as a community-based pathologist with responsibilities primarily in service and laboratory management. The Surgical Pathology laboratory at VCU Medical Center processes over 20,000 cases/year representing benign and malignant pathology, including biopsies as well as large complex resections, from all organ systems. Sign-out in Surgical Pathology is subspecialized, assuring trainee interaction with faculty with expertise in specific organ system pathology. The general framework of this fellowship includes: nine months rotations through various subspecialty services (GI and Liver pathology, Gynecologic Pathology, Genitourinary Pathology, Breast/Heart/Lung Pathology, General, Head and Neck Pathology, and Dermatopathology) and three months of elective rotations. The fellowship allows potential flexibility in the schedule, depending on the fellow's subspecialty interest (e.g., primarily Gynecologic Pathology focus). With sufficient preparation, the fellow "mock" signs out the cases as a junior attending with the resident, handles frozen sections and consultation cases, instructs the residents in processing complex specimens. Presentations at interdisciplinary conferences provides important correlation with clinical management consequences. Elective rotations are available in Neuropathology, Cytopathology, Molecular Pathology, or selected clinical pathology services (Hematopathology, Blood Bank). The fellow is expected to participate in one of the many departmental research projects, including presentation at national meetings and peer-reviewed publication encouraged. Requirements: Candidates must have satisfactorily completed an accredited training program in AP or AP/CP and passed USMLE Step 3.